My fingers are trembling as I write these words. The account of what happened in the past 36 hours will never reach Earth in time to affect the outcome of this mission, and I don’t think Jim is going to let me send it out anyway. We’ve been lied to. Kept in the dark. Mislead. We aren’t the only nation with Time-Vortex drives. The Eastern Coalition has them too. Jim and Kate both knew it or at least knew that it was a possibility. I had a horrible realization then, a reason for the military’s presence on Luna, a reason for them to be chosen instead of a NASA pilot. They’re not here just to pilot the ship, they’re here because they knew about the damned Chinese. Our logistics computer identified the craft by its burn wake, but by then our telemetry equipment snatched pieces of an outgoing beam. They were going to beat us to Alpha Centauri and Alliance would be out billions of credits. I didn’t need Jennie to tell me about the political strings this would pull. This kind of space race had blood in it. What unfolded in the wake of that discovery shook me to my core. Jim and Kate ordered Alex and Bree to their posts in Science. Evan and Rich were sent to Engineering. Jennie and me? We were sent to quarters. I don’t know what happened to Anne and Kira. For an hour we were locked in our cabins, separately. During that time the ship shook several times and I felt the hair on my arms and neck go stiff while my heart seemed to skip a beat. Later, I learned why. 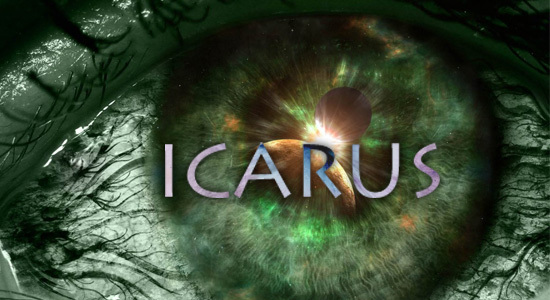 The Icarus is outfitted with several gigawatt laser systems, hidden from the entire crew with the exception of Jim and Kate. And they were fired at the Chinese ship. This entry was posted in Icarus, Original Fiction, Science Fiction and tagged Alliance, Alpha Centauri, blog fiction, Can, Earth, Icarus, Luna, Luna Station, Mike Kern, NASA, Science Fiction, SciFi, space, Time-Vortex, William Shriver. Bookmark the permalink.